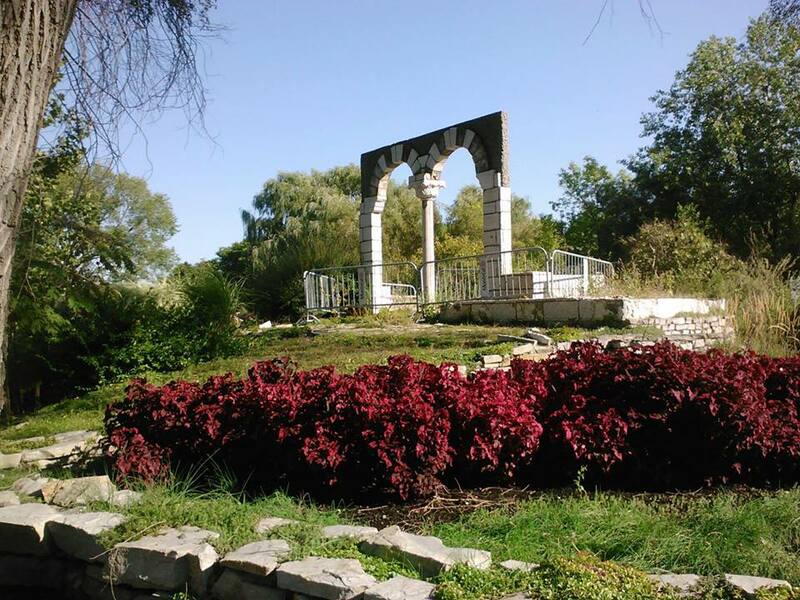 Full of religious and spiritual symbols that evoke the typical landscapes of the Promised Land, “The Israel Garden” is in an accelerated process of deterioration due to the ravages of time, a lack of proper maintenance by the City of Montreal and recent vandalism. 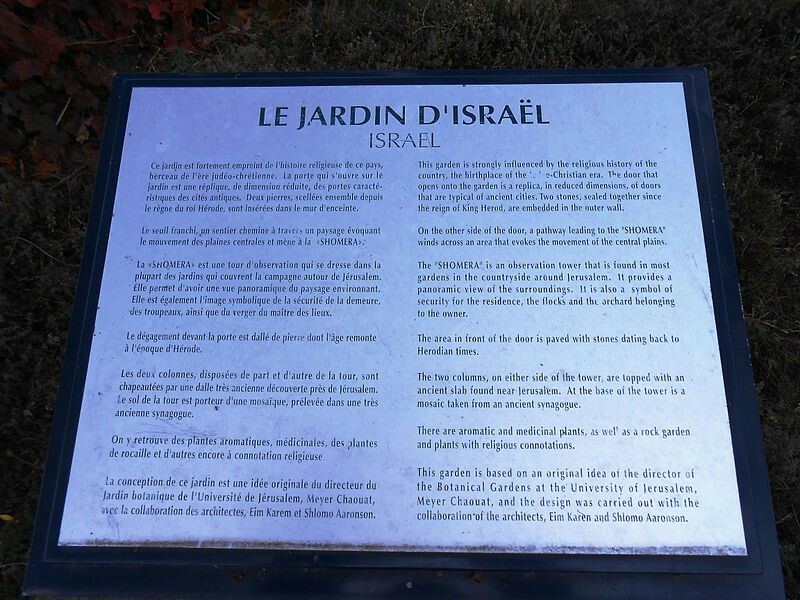 Located in the center of Parc Jean-Drapeau, The Israel Garden was built in 1980 on the occasion of the exposition Floralies Internationales. The garden was conceived by Meyer Chaouat, Director of the Botanical Gardens at the University of Jerusalem, with the collaboration of the architects, Eim Karen and Shlomo Aaronson. The garden is full of historical, religious and spiritual symbols closely linked to the history of Israel: the door that opens onto the garden is a replica of ones that can be found in the ancient Middle Eastern cities; there are two stones sealed together from the reign of King Herod; two columns, on either side of the tower, topped with an ancient slab found near Jerusalem. A Shomera, a mosaic brought from an ancient Israeli synagogue, aromatic, medicinal and religiously symbolic plants,all contributed to recreate an atmosphere typical of an Israeli plain. The replicas that endured in Israel for millennia have not fared so well in Montreal. 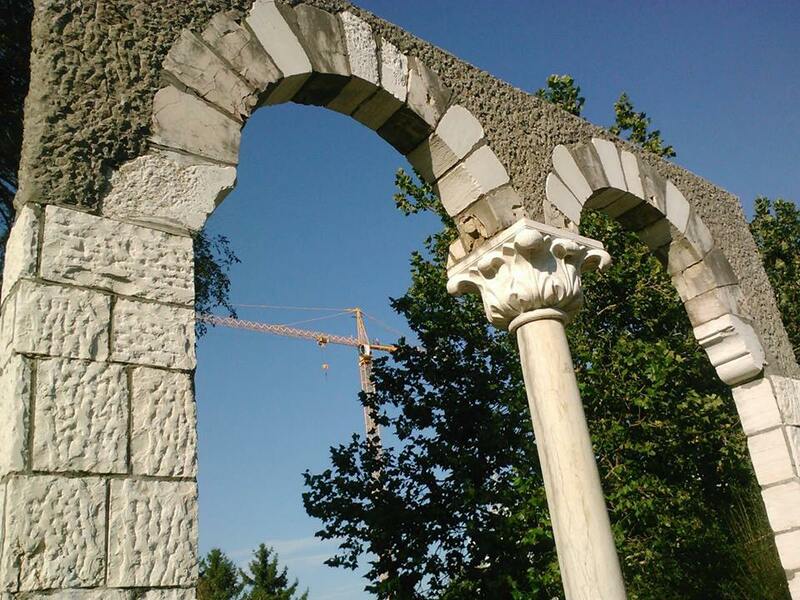 After 39 years, the garden is heading towards an irremediable destiny: the slab that surrounds the columns are falling, which in the not too distant future will cause the collapse of the entire structure. 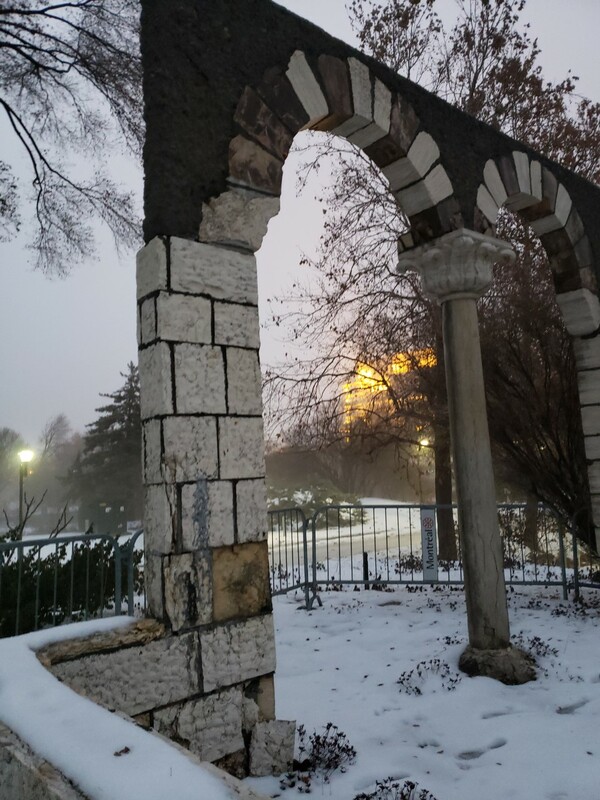 The mosaic brought directly from Israel is missing pieces while the plaque located at the entrance describing the characteristics of the garden has recently been vandalised. As members of the Jewish Community we need to step forward and rescue the Israel Garden from its imminent disappearance. The City of Montreal needs to maintain this area of Parc Jean Drapeau just as it maintains all of its parks. If it is not possible to repair it, or at least execute the minimum maintenance to preserve its structure, why do not transport It to a safe place where it will be better appreciated and preserved by people who really value it. The New York Magazine (in its edition of 24 of March, 1980) described the exposition Floralies International as the first exhibition brought to North America outside Europe, where participated more than 20 countries from different parts of the world. The Shomera (from Hebrew, guardian, female) is an observation tower that is found in most of the gardens in the countryside around the city of Jerusalem. Is a symbol which represents that the flock and the orchard belongs to the owner. Also, is a sign to protect the residence. The authorities of the City of Montreal put many fences to protect the columns, without having taken any action to repair and preserve it.